One day a florist went to his barber for a haircut. After the cut, he asked about his bill, and the barber replied, “I cannot accept money from you. I’m doing community service this week.” The florist was pleased and left the shop. When the barber arrived at his shop the next morning, there was a thank-you card and a dozen roses waiting for him at his door. Later, a policeman came in for a haircut, and when he tried to pay his bill, the barber again replied, “I cannot accept money from you. I’m doing community service this week.” The cop was happy and left the shop. The next morning when the barber went to open up, there was a thank-you card and a dozen donuts waiting for him at his door. Then the district Congressman came in for a haircut, and when he tried to pay his bill, the barber again replied, “I cannot accept money from you. I’m doing community service this week.” The Congressman was very happy and left the shop. 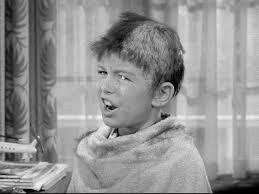 The following morning, when the barber approached his front door, he saw a dozen Congressmen lined up waiting for free haircuts.